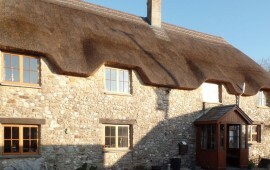 We have a wide range of skills from general maintenance and repairs right through to renovations of listed properties. We pride ourselves on close liaison with the customer, keeping them informed of progress at every step, as we believe communication to be a vital part of our service. All types of work are undertaken from something as simple as hanging a door to a complete new build, with minimum disruption to the customer. Free estimates are provided for all works. We have been involved in many commercial projects including refurbishment of public houses, large extension on a residential care home, fitting out of large commercial industrial units. 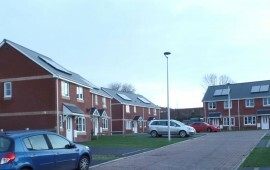 We have also created housing estates for social and private sector housing. We have worked alongside education authorities, adapting to their needs. 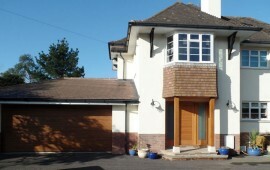 Living within the beautiful part of the country that we do, we find ourselves employed by people that own holiday homes. We have, over the years, project managed many renovations and refurbishments on behalf of customers who do not live locally. This is where our project management comes into its own, as the Project Manager provides the customer with insight into each stage of the project, allowing them to have input. We have a wide range of landscaping skills, from a new fence or decking to retaining walls. We have a wide skills set amongst our employees which enables us to be reactive to the needs of local shops, restaurants, hotels, schools and colleges for maintenance works, either planned or on a call-out basis.